However, more has survived than was at first thought, and though much remains to be done, much has been accomplished. We must now mitigate a great injustice by working to revive and perform the music of those whose crime was to be Jewish, or deemed offensive by, the authoritarian Nazi regime. I believe that the spirit of this lost generation now needs to be heard. The creativity of the first half of the twentieth century is far richer and varied than we commonly assume. Alongside Stravinsky, Strauss and other major and more fortunate figures, the varied voices of composers from Berlin, Vienna, Prague and Budapest, whether Jewish, dissident or immigrant, reveal much about the musical ferment of their time. Their music, I believe, is accessible and relevant. Further, American musical culture owes an enormous debt to those who emigrated to Hollywood and Broadway, bringing their distinctive personalities with them, creating a style that has since evolved into a characteristic American one. The cliché there are no lost masterpieces reveals our own ignorance. Entire civilizations, along with their masterpieces, have been destroyed by war since the beginning of human history. Various forms of censorship have repeatedly affected artists and works, and continue to do so. The suppression of these composers and musicians caused the greatest single rupture in what had been a continuous seamless transmittal of German classical music. This centuries-old tradition, dating from before Johann Sebastian Bach, was passed on from one generation to the next. It was nourished by the free expression of an often contentious creative exchange between conservative traditional artistic expression and competing currents of innovation and iconoclasm. The policies of the Third Reich destroyed the environment in which this exchange could flourish, uprooting a centuries-old garden, with its creative polemics and dialectics, forcing those who survived to scatter all over the world, where comparable artistic milieus in which to live and create were scarce. This immense self-destructive act seriously damaged one of Germany's greatest cultural traditions, accomplished by killing and dispersing many of its caretakers, burying a lost generation along with its spirit. There are three fundamental aspects to be taken into consideration when approaching the revival of this music: moral, historical and artistic. Moral: Undoing injustice, when and where one can, is a moral mandate for all citizens of a civilized world. We cannot restore to these composers their lost lives. We can, however, return the gift that would mean more to them than any other--that of performing their music. Historical: Our perspectives on the history of twentieth-century classical music are incomplete because an enormous quantity of works has remained unplayed, and the lives of its composers largely ignored. History is not only made by its big names, its warrior kings, dictators. Nor is the Zeitgeist of any era only about its most famous artists. It is also a cultural concretization of those who lived in a given era. Our understanding of twentieth century classical music needs re-examination. Part of the mandate of the historian is to integrate new information as it becomes available, and perhaps to offer a more comprehensive view of the past. In this case that reassessment can only be fairly accomplished after we have significantly acquainted ourselves with the voluminous music cast out by the Nazi suppression. Artistic: Moral or historical considerations would not be reason enough for revival were it not for the artistic quality of what was lost. This cannot be judged by a single hearing of tokenistic or uncommitted performances. Judgments, if indeed they must be made at this time, should only be made after those performing and listening over the course of years have given these varied voices and their attendant spirits sufficient time to be fully digested. For more than two decades now, I have integrated many of these suppressed works into my symphonic and operatic repertory and programming. During that time, others have followed suit. I have worked tirelessly with young musicians, taken every opportunity possible to speak with the general public, and have written as much as I can, all in the hope that the music will find its place in the standard repertory. I have created the Orel Foundation as an Internet resource for music lovers, musicians and those who are simply curious. I initiated the Recovered Voices series at Los Angeles Opera and have borrowed this umbrella term to describe and present the two generations of composers whose lives and productivity were cut short or radically altered. I have sought to disseminate their names and music. The list of names is long: Walter Braunfels, Hanns Eisler, Pavel Haas, Karl-Amadeus Hartmann, Vitezslava Kapralova, Gideon Klein, Erich Wolfgang Korngold, Hans Krasa, Ernst Krenek, Bohuslav Martinu, Franz Schreker, Erwin Schulhoff, Victor Ullmann and Kurt Weill, to name just some. Last and certainly not least, it was the music of Alexander Zemlinsky that opened up this entire domain to me. The revival of this music can serve as a reminder for us to resist any contemporary or future impulse to define artistic stands on the basis of racist, political, sectarian or exclusionary ideologies. By keeping alive the music of the Recovered Voices composers, along with that of other victims of totalitarianism, we deny the Nazi regime a posthumous victory which, as long as the damage is still not repaired, still stands. That victory should not be allowed to stand and I, for one, will not rest until it no longer does. 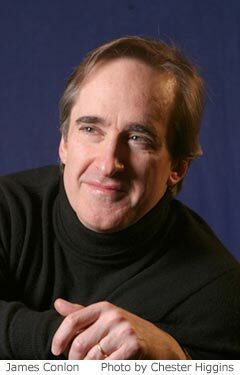 James Conlon New York, October 2006, revised 2018. All rights reserved.